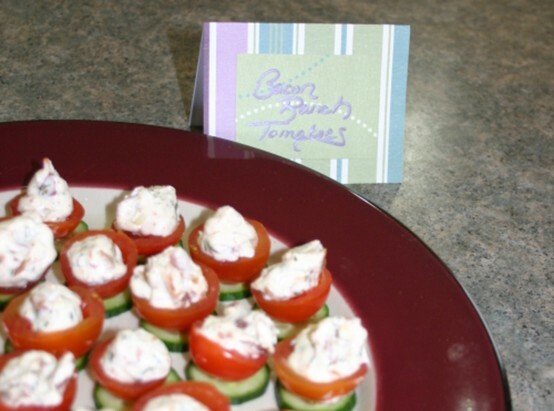 Colleen from La Crosse, WI says: These appetizers are always a favorite! My daughter is making this for her graduation party the end of March 2011. These are pretty and fun! Oh… and they taste really good too! 2. Prepare cherry tomatoes, by washing, drying, slicing the tops off and scooping out the centers to prepare room for filling. 3. Put filling in each cherry tomatoe (over filling them). Put lids back on top on an angle.